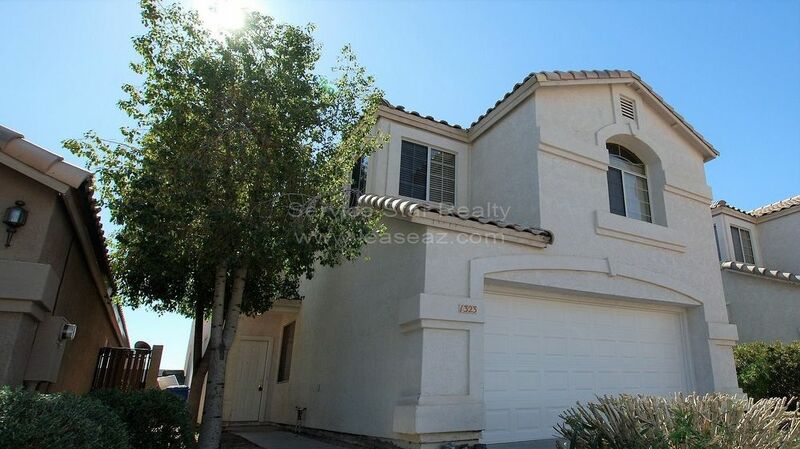 Desirable Ahwatukee 3+2.5 Nestled into the Foothills of Ahwatukee! Welcome Home! The tree-lined entrance to this beautiful abode beckons you into a sanctuary for your soul. The home is nestled into a charming community located on a culdesac in the foothills of desirable Ahwatukee. The open floor plan is architecturally appealing creating bright light and cheerfulness with lots of space including a living room with soaring ceiling, formal dining room and a dedicated den/office off the living room. The family room, kitchen with center island and breakfast/alternate dining area are complimented by large windows overlooking the back yard, filling the home with cheerfulness! The laundry room and bedrooms are upstairs with a bridge across the living and dining room connecting the Master bedroom suite to the guest bedrooms and loft area. The master bath features dual sinks, separate shower with new glass enclosure and garden tub, separate commode room and large walk in closet. There is also a large balcony off the master bedroom overlooking a very private back yard. 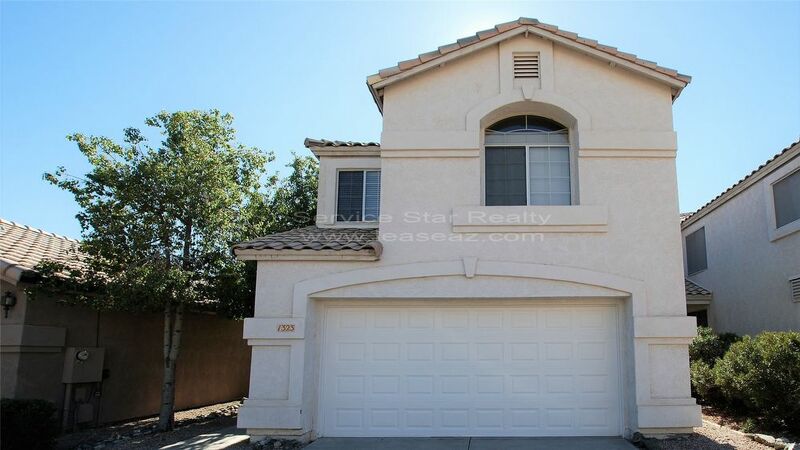 This 3+2.5 with beautiful tile and brand new carpet in the bedrooms is certain to please! The Mountain Views & Quiet Neighborhood are the perfect escape from the mad dash but still located only minutes from the I-10 and 202/Pecos Rd. The community is highly rated, as it is situated within an award winning school district. The area also offers an array of activities, including access to hiking trails, a community park, shopping, restaurants & banking all of which are within walking distance! You won't want to delay. Schedule an appointment today! PET RESTRICTIONS: Would consider one small (under 20lbs), well trained dog. Approval would be required. Minutes to I-10 and 202/Pecos Rd. Walking distance to grocery, banks, gas stations, and a few restaurants.